My uncle handed me a fishing pole when I was 5 and it grew from there. From ponds and lakes, it grew into fishing the salt water for a variety of species. 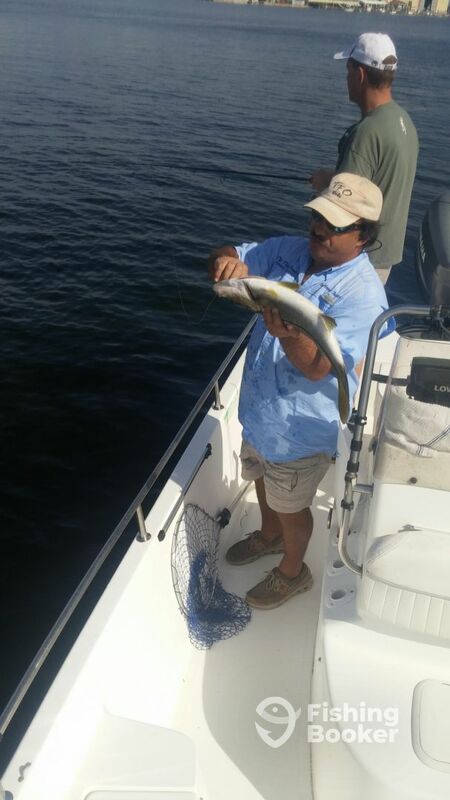 From Redfish, Snook, and Trout to Grouper, Cobia, and Mangrove Snapper and all that are in between. 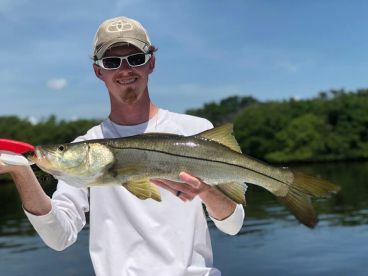 Snook is one of my favorite fish to catch on the inshore scene. 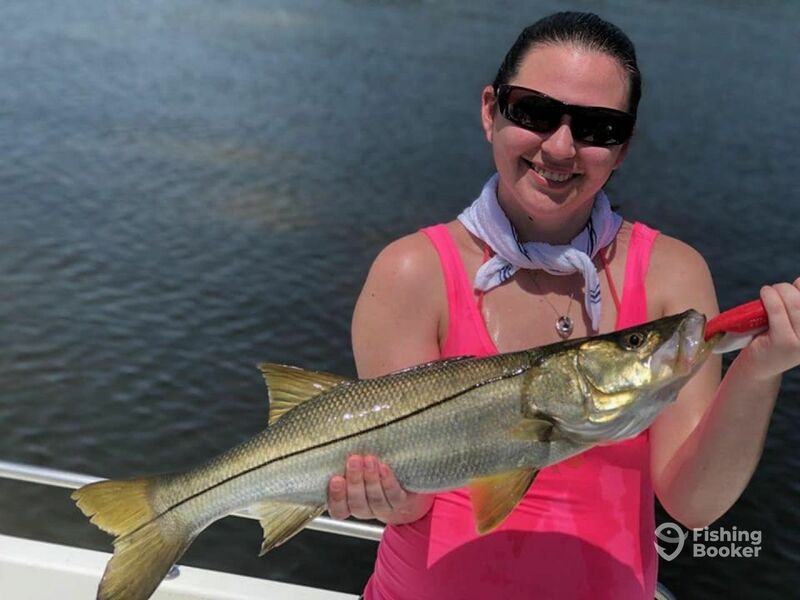 Since I grew up originally wanting to be a professional Bass fisherman but started to love the saltwater and the Snook was like a Bass on steroids and guiding/teaching became a passion, I became a professional fishing guide. When you step on my boat, we will be fishing like we have been fishing buddies for years with a very easy-going "let's catch fish" atmosphere and we will catch fish. I have been fishing the waters of Tampa / St. Petersburg for over 30 years and half of them as a professional. I am proud to say that in all my years of guiding I have never had a fishless trip. So come aboard the "Fish Hunter" and lets make some memories. 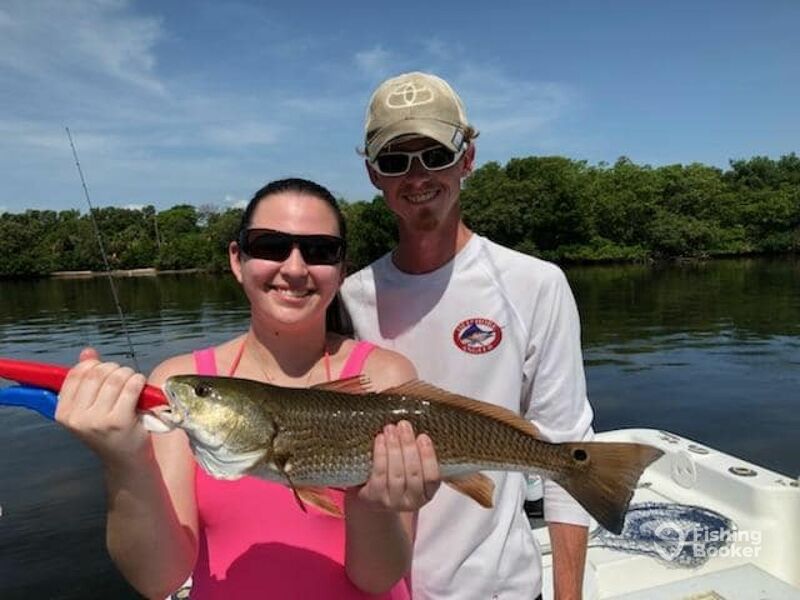 I love to fish for all that Tampa Bay / St. Petersburg has to offer. 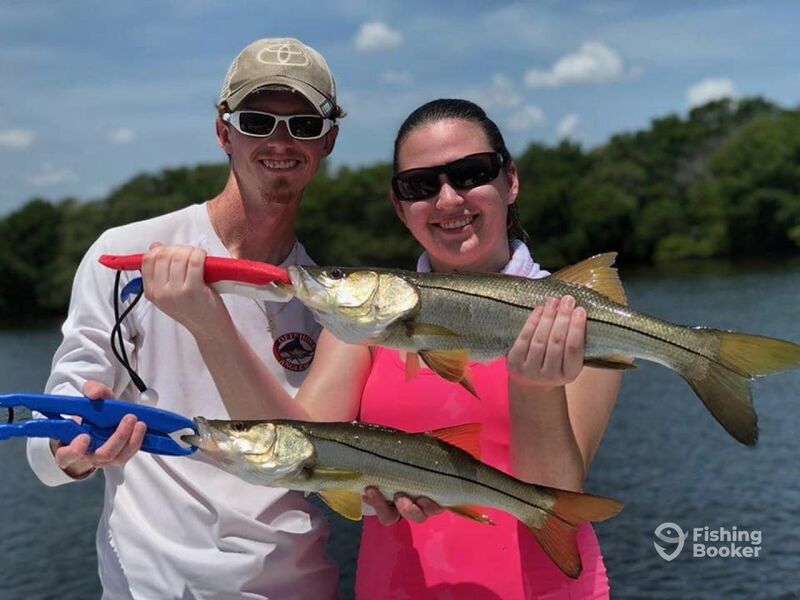 Most of the time we fish light tackle for snook, trout, redfish and more with snook being a favorite. We fish with High quality rods and reels from Temple Fork Outfitters and Quantum reels along with the Seaguar leader and Owner hooks. My 22' Sea Pro bay boat will handle the open water as well as get very shallow to fish the flats of Tampa Bay. We fish a lot of live bait and my boat has a custom 48 gallon live well that I designed and had made for my boat. This allows me to carry an enormous amount of bait, that I catch fresh every morning (usually 300-500 baits, when fishing with scaled sardines) to be able to live chum through out the day to help keep our bite going for the maximum amount of fish catching action. I appreciate you taking the time to submit a review. I am glad you guys had a great time especially for your wife’s birthday. At one time we had other boats trying to get close to us like we didn’t see them lol. but hey that was because you guys caught on fast and were putting on a show. I love teaching people to fish and seeing them have a great time. I look forward to you guys coming out with me again and maybe we can get that monster fish. Half day trip with Capt George "The Fish Hunter"
Beautiful and successful morning of fishing with Capt George. 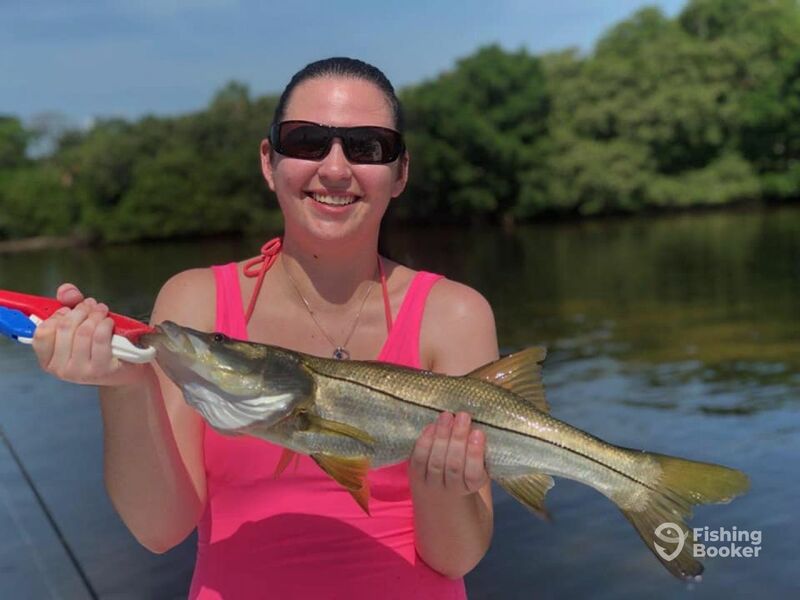 First fish was a 29” keeper snook and from then on we caught fish almost non-stop. 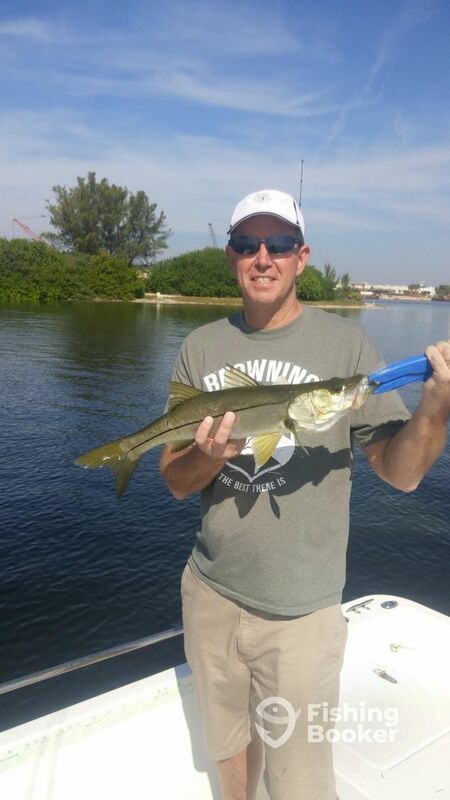 Mostly snook, but a few reds, blowfish, ladyfish and jacks. George had plenty of live bait and we even got to throw some artificial lures. Lost a very large redfish on a top-water lure which was a blast! All in all a fantastic trip and I would highly recommend the Fish Hunter! Beautiful and successful morning of fishing with Capt George. 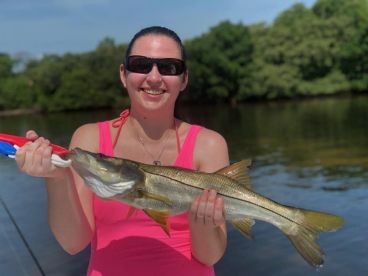 First fish was a 29” keeper snook and from then on we caught fish almost non-stop. 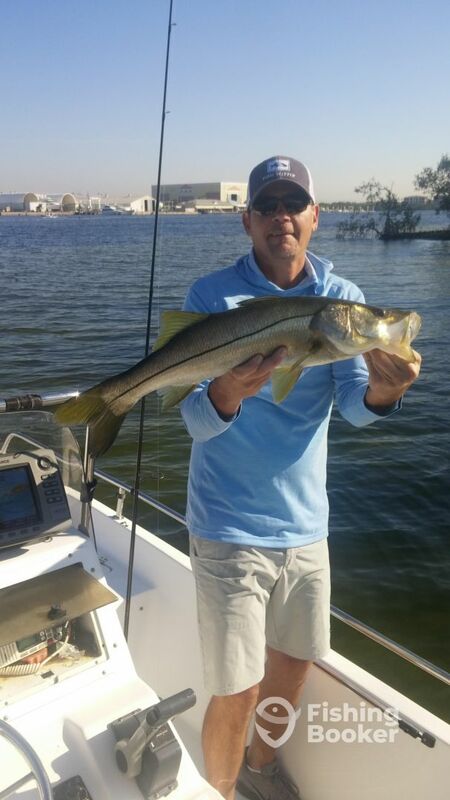 Mostly snook, but a few reds, blowfish, ladyfish and jacks. George had plenty of live bait and we even got to throw some artificial lures. Lost a very large redfish on a top-water lure which was a blast! All in all a fantastic trip and I would highly recommend the Fish Hunter! It was a pleasure having you guys on the boat and I am glad you had a great time!! !